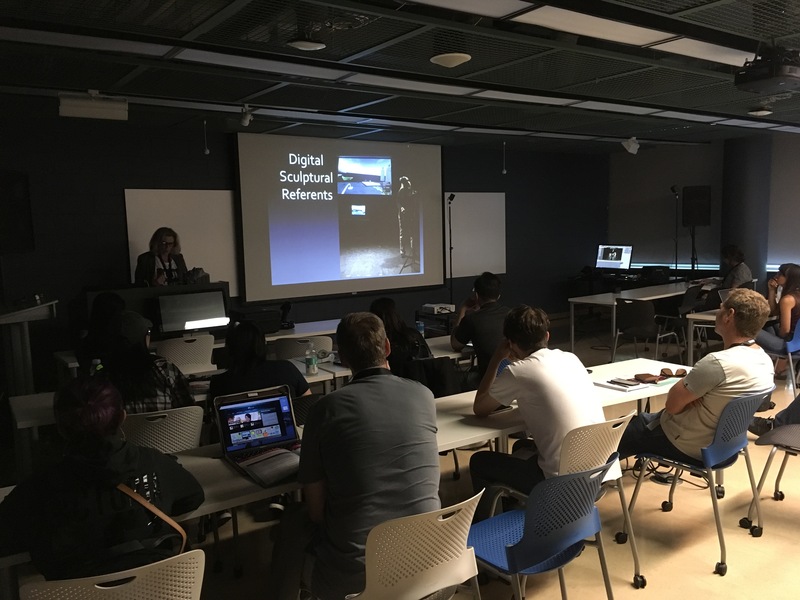 Embodied Identity is a virtual reality research-creation project that explores artistic interactions with digital modes of production, examining the interaction between spatial platforms that stimulate and challenge artists' perceptions and relationships to space, time, and materiality. 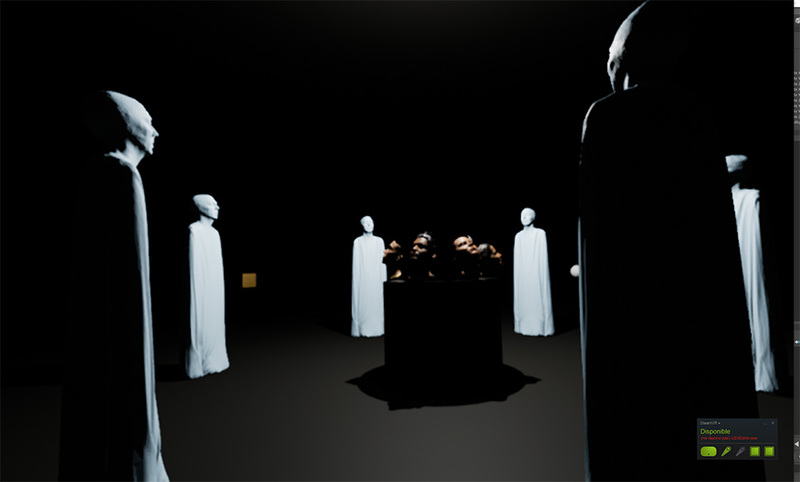 Researchers Dr. Claire Brunet and Digital Futures Graduate Thoreau Bakker experiment with VR and 3D scanning technology to convey meaning inside a VR spatial context using digital sculptural referents. Sculpture/Installation undergrad Sam McGuire assisted with scan data post-processing through OCAD U Experiential Learning. "Using body digitizing I aim to capture a person's inner strength and personality, to explore a sensory knowledge that brings life to the artwork inside a VR environment." Through an exploratory approach to VR the research team presents a repositioning of the ways artistic knowledge is transmitted. Most interestingly and importantly, in sculpture-installation art practice, artists' interactions with mediums and digital modes of production go beyond technical and technological characteristics to bring light to a sensory knowledge with limitless creative boundaries in view to open up to new intellectural territories and an artistic vision inspired by mutable spatial-temporal platforms. Embodied Identity was featured as part of OCAD U's inaugural Gallery Crawl on May 10, 2018. 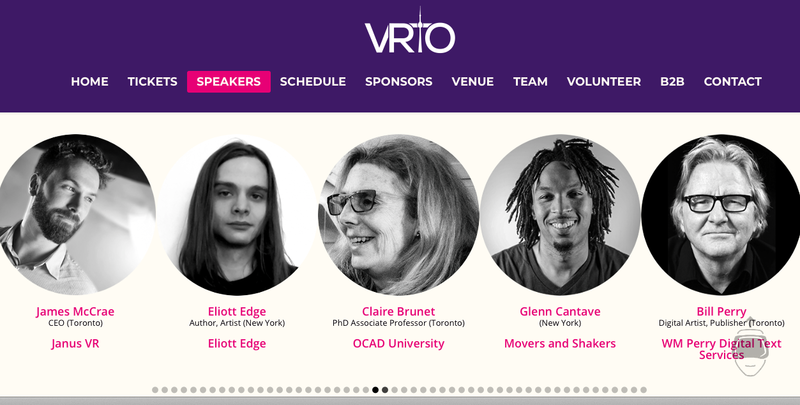 This project was also presented at VRTO 2018 by Dr. Claire Brunet, as a conference titled "3D Scanning to VR: Embodied Identity". The Virtual & Augmented Reality World Conference and Expo is a unique, international exhibition, professional conference and solutions-focused symposium exploring arts, culture, society, humanities, ethics and sciences through immersive technologies.